If you’re tired of throwing your money away by buying into the many gimmicks of the weight loss industry, it may be time to consider a safe and effective medical weight loss approach. At Dr. Urshan’s Health and Weight Loss Center, our doctor-approved weight loss technology delivers guaranteed results time and time again. Unlike other medical weight loss clinics, we focus on the root causes of weight gain such as slow metabolism, hormonal imbalances and genetic factors to address and correct your body’s natural fat burning patterns for the optimal weight loss regimen*. Our individual, customized plans also differ from most medical weight loss clinics because we do not emphasize caloric restrictions or extreme exercise. Since our recommended food list incorporates all of the major food groups, our patients are able to recreate their favorite dishes by using healthy alternatives or practicing portion control for responsible indulgence. In doing so, most individuals on our medical weight loss regimen experience zero hunger cravings and are better able to make sustainable lifestyle changes for the long-term**. If you live in St. Petersburg, Clearwater, Westchase, Palm Harbor or surrounding cities and are tired of yo-yo dieting, act now. 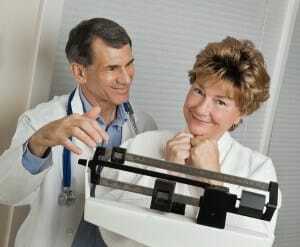 Dr. Urshan is Tampa Bay’s leading medical weight loss expert. Contact Dr. Urshan Health and Weight Loss Center today to get started on your personalized path to fast, sustainable results*.